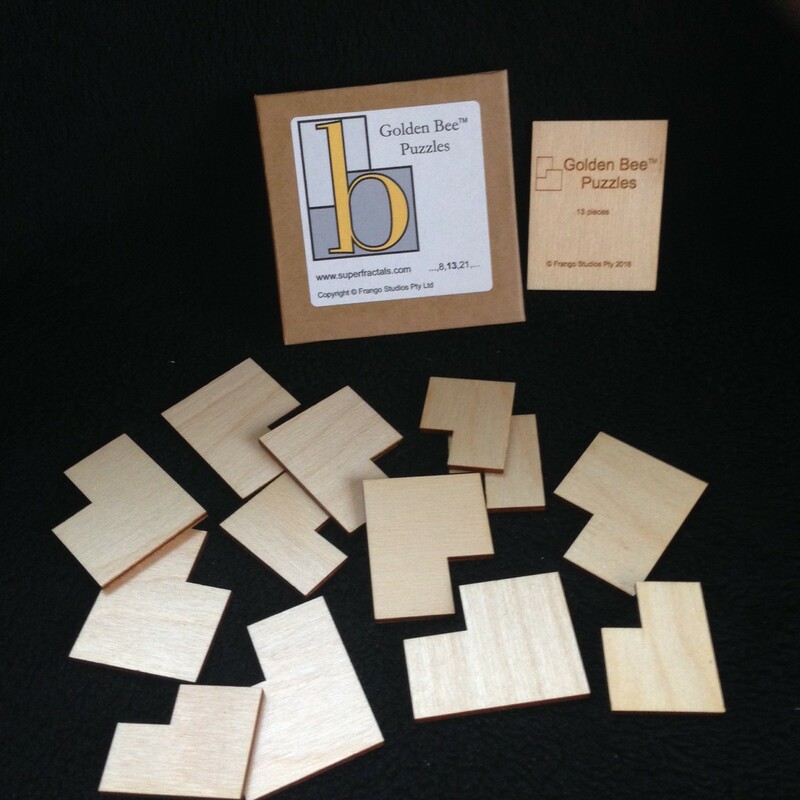 We are excited to announce the launch of Golden Bee Puzzles™. 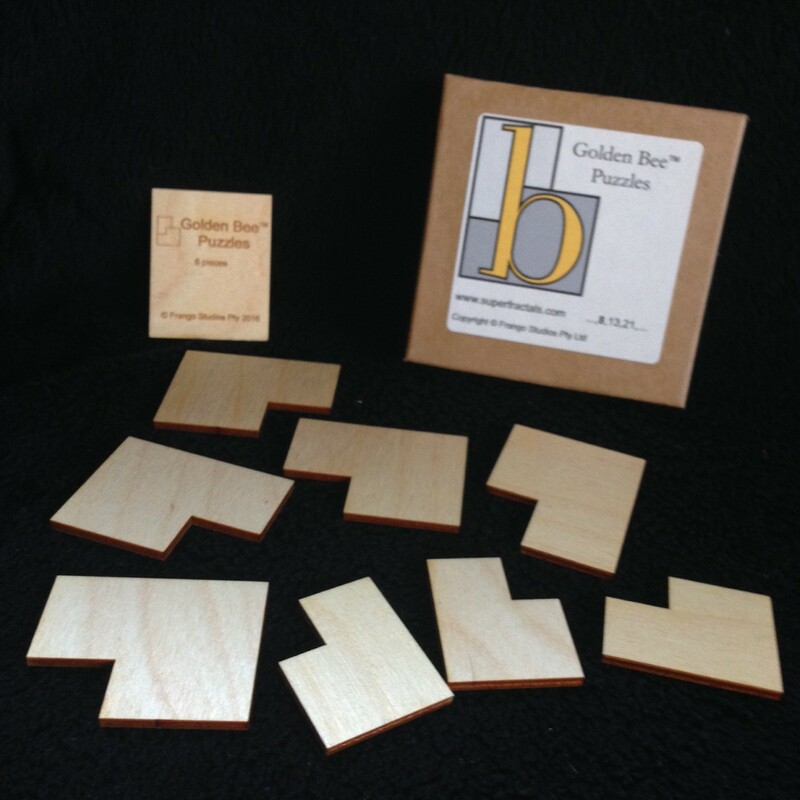 These puzzles explore deep mathematical ideas while being fun for people of all ages. The puzzles consist of a number of tiles in the shape of a Golden Bee. All the tiles are the same shape, but they come in two sizes. The challenge is to fit them together to make a larger bee shape. 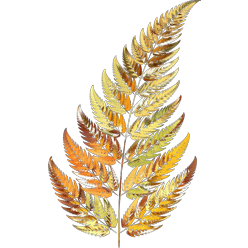 See more at the goldenbpuzzles.com website.